in CAD to GBP, GBP, GBP to CAD. The Pound Canadian Dollar (GBP CAD) exchange rate slumped by around half a cent this morning as a number of US banks signal plans to shift jobs outside of London. The Pound is tumbling this morning following a report from the Financial Times that suggests that a number of major US banks have warned of plans to relocate a number of staff outside of London. The warnings were reportedly issued to US commerce secretary Wilbur Ross in a closed door meeting in the city last week, with executives from large financial institutions including JPMorgan Chase, Goldman Sachs and HSBC, in attendance. The executives are reported to have discussed plans move a number of staff either back to the US or to European Capitals in the near future as the lack of clarity over Brexit forces banks to implement their worst-case contingency plans. With the city of London accounting for a major proportion of the UK’s economic activity, a mass exodus of staff would likely be a major blow to the country’s growth. The Canadian Dollar’s advance this morning has also been aided by a continued uptick in oil prices as Canada’s key commodity export threatens to break above $65 a barrel this week, after closing at a two year high of $64.27 a barrel yesterday. The sustained gains in crude prices have partly been attributed to remarkably high levels of compliance amongst OPEC members in regards to the cartels’ production cuts in recent months. However the jump also appears to be supported by a re-evaluation of oil consumption, particularly in the US where stockpiles have continually fallen in 2017 compared to the five-year average. GBP CAD Forecast: Pace of Brexit Talks to Accelerate? 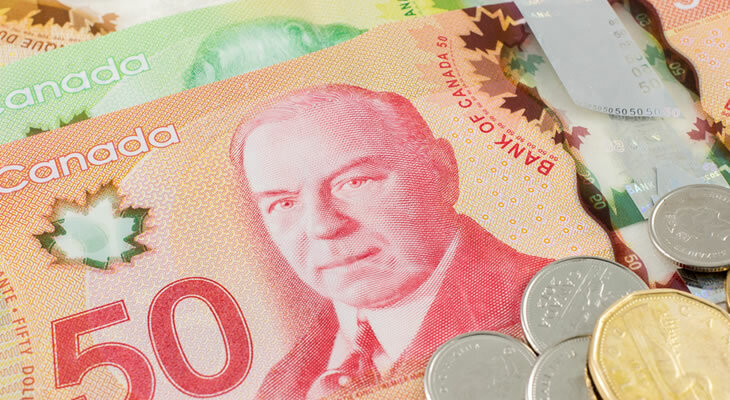 Looking ahead the GBP CAD exchange rate could see an upswing in the second half of the week as market focus turns to the resumption of Brexit negotiations. Investors will be hopeful that Thursday’s talks will see negations begin to accelerate after both sides expressed a desire to see exit talks wrapped up quickly so that trade talks can get underway by the end of the year. Meanwhile the Canadian Dollar may be strengthened further by another uptick in oil prices later this afternoon if the draw in US crude inventories continued last week as expected. At the time of writing the GBP CAD exchange rate was trending around 1.6740 and the CAD GBP exchange rate was trending around 0.5979.